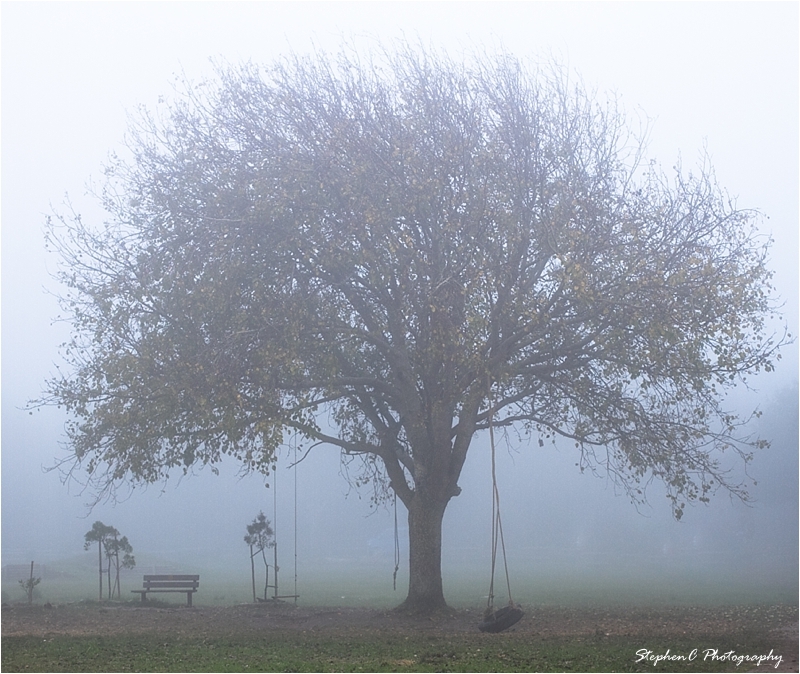 It is not often we get mist in Cape Town. Wind and rain and lots of sun yes, not often mist though. 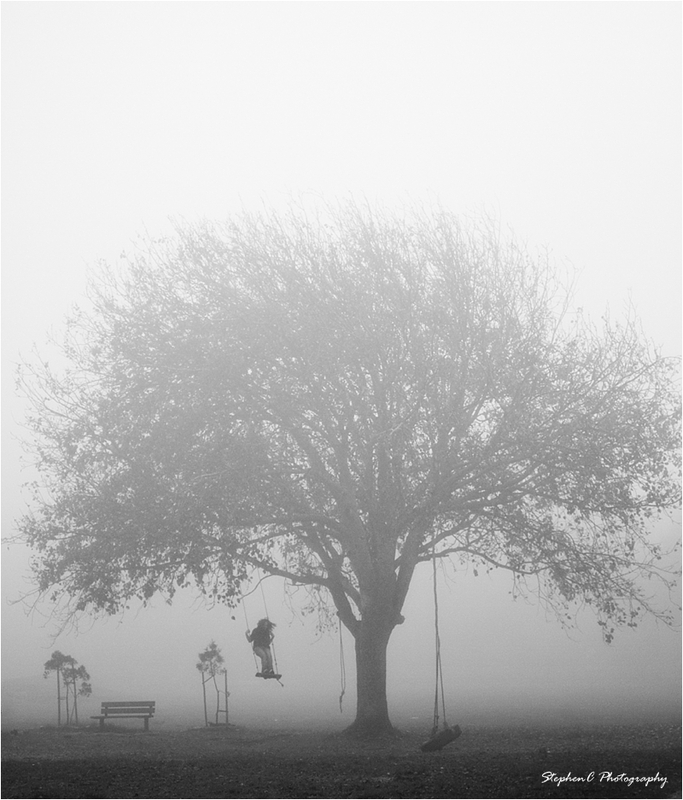 This girl, in the shot above, was having such fun just running through the mist, then up to the swing and swinging away, all on her own. These pics were captured on Noordhoek Common in Cape Town last week. I took our dog for a walk on the common and carried my camera with my nifty fifty lens. 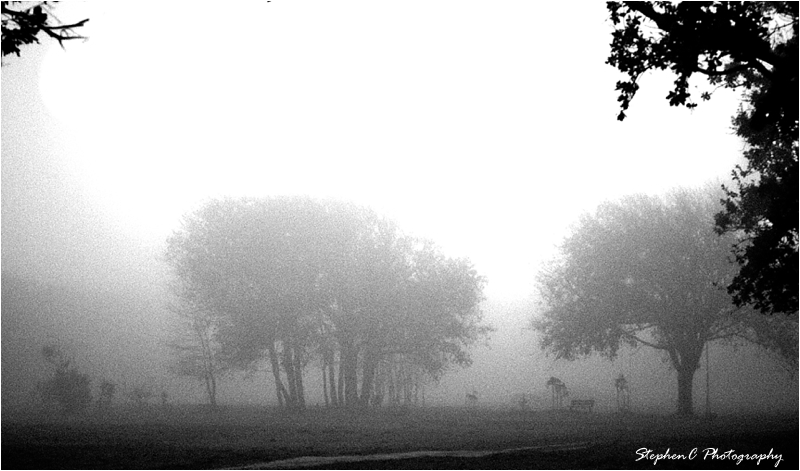 I pretty much stood in one spot and enjoyed the scenes as the mist came in, then lifted, then came in again. it was that time of the day with lots of people walking their dogs and these beings sort of drifted into sight then drifted away again. As I say, it was novel.